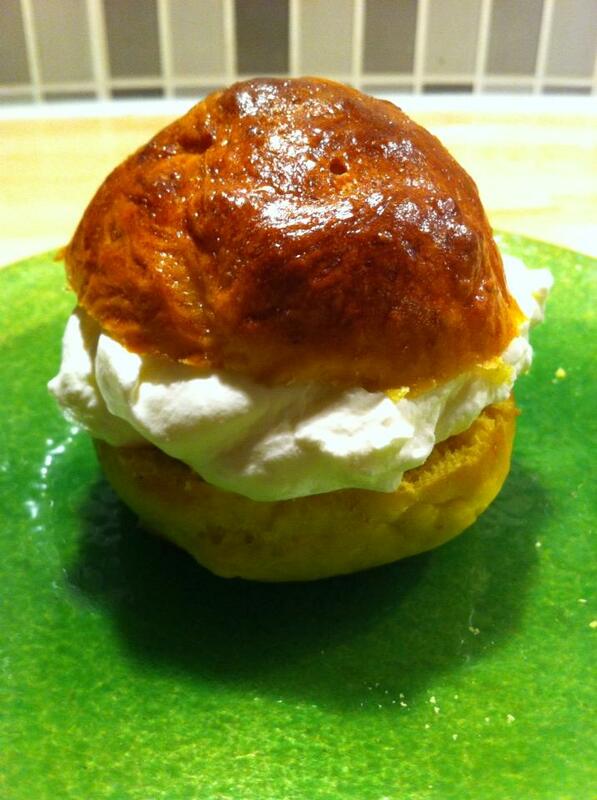 The real semla not contain saffron, but because saffron is so good so clear you can make rolls with saffron flavor. Now I cheated a little. When I baked Saffron Lussekatter so I made a few rolls of the same dough, Lussekatter recipe. That is made ​​a little round ball of dough. And baked them simultaneously. Lussekatts disappeared so fast, they did not have time to even the freezer. 🙂 This is perfect for the holidays or if you want to treat yourself with something nice with your coffee or tea. Split bun about 1/4 from the top. Remove some of the bread so it formed a hole. Add the raisins and almond paste. Add the cream. Finish by putting the lid on. Eat and enjoy! Previous Post Mulled Apples – simplest and yummiest dessert ever? How do you have saffron in all your recipes? I am so saffron deprived over here 😦 It’s soo expensive!